The season of beautiful array of lights covering the neighborhoods. 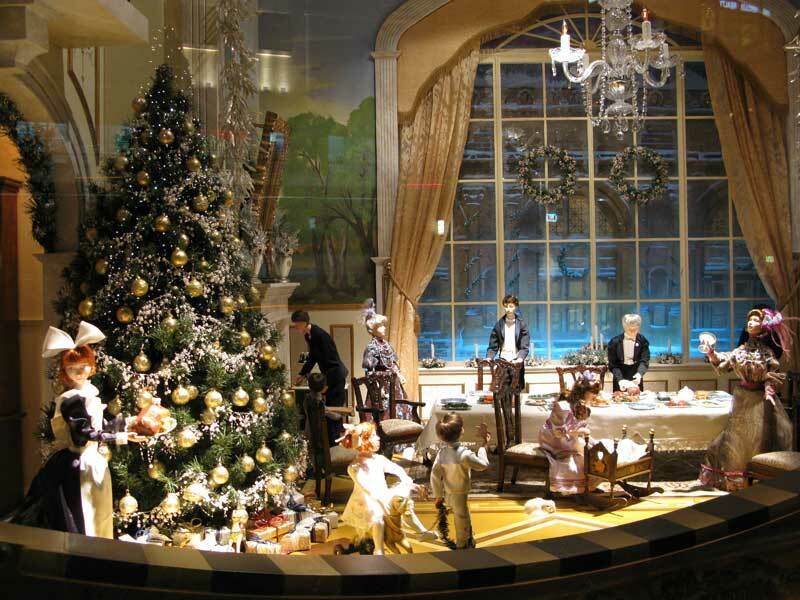 The season for beautiful decorated Christmas trees in windows. The sound of laughter and joy. The smile of a child opening its most wished for gift. 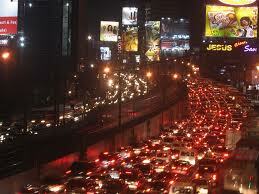 BUT THEN THERE IS HORRIBLE TRAFFIC AS IF PEOPLE FORGOT HOW TO DRIVE. Uh, honey. There will be no diapers tonight. THEN THERE ARE FIGHTS FOR PARKING PLACES. STORES ARE MAD HOUSES. PEOPLE ARE RUNNING ABOUT SNATCHING OTHERS PEOPLE’S ITEMS. ITS MUTINY!!AHHHHHHHHHHHHHHHHHHHHHHHHHHHHHHHHHHHHHHHHHHHHHHHHHHHH! (weakly) Silent Night. Holy Night. All is calm … no all is not calm. The other day we went to a department store (Department store name will be held because they are not paying me to advertise unless they want too. JC Penny give me a call) and were looking for parking places. Some numb nut decided to take TWO places. Two! ARE YOU KIDDING ME??? As much as this season is supposed to be for joy and love, it’s also about giving. Giving a good punch in the you know where. Either this season brings out the best in you or it brings out the worst. 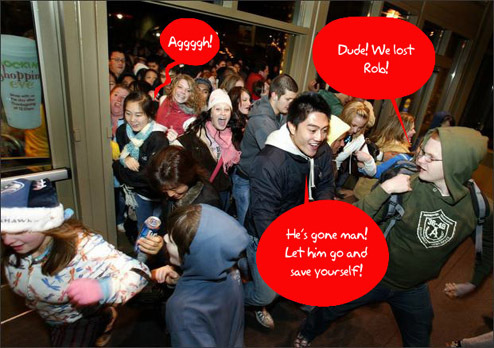 During Black Friday I heard horror stories of people snatching items out of other people’s carts. People were in tears. Tears! Are you kidding me? So you could get a lousy sale?! I am kinda worried. There is such craziness everywhere I wonder if our government would tell us there was some sort of “outbreak” and that now we were all turning into zombies. Probably not. 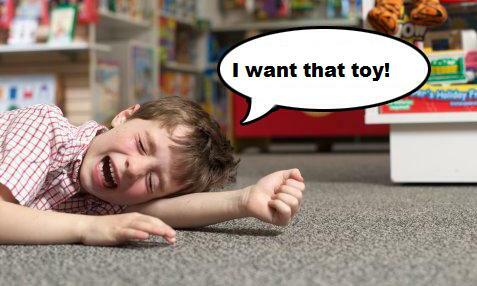 Going to every store in the city no county to find that toy that your child has to have! And then only to tell your baby that Dear ole Santa brought it for them. People take up drinking for a reason. Heavy drinking. You should see me. I can pound tequila like it’s nobody’s business. Have you tried taking your kids to go look for a present for Aunt Alice and Uncle Tony? This is where you should invest in a flask. Heck, carry four. One in your purse, pocket, jacket, and in the glove compartment. This might seem drastic but sometimes Christmas time is all about survival. Survival of your sanity. Yet despite the fact that you might wanna break a jaw here and there, the madness will eventually end. And in the wake of the craziness, you will come to realize the true meaning of Christmas. Family, love, peace, giving, and joy. And when that ends, it’s time to refill that flask! This entry was posted in Funny, Holidays, Humor, Opinion, Sarcasm and tagged AAA, Ain't the Hoildays Grand, Craziness, What the .... Bookmark the permalink.